The wonderful King's College Chapel is the most famous view in Cambridge and one of the reasons so many visitors flock to the city every year. As you walk along the Backs in the summer a small group of cows graze in the meadow oblivious to the majesty of their surroundings. 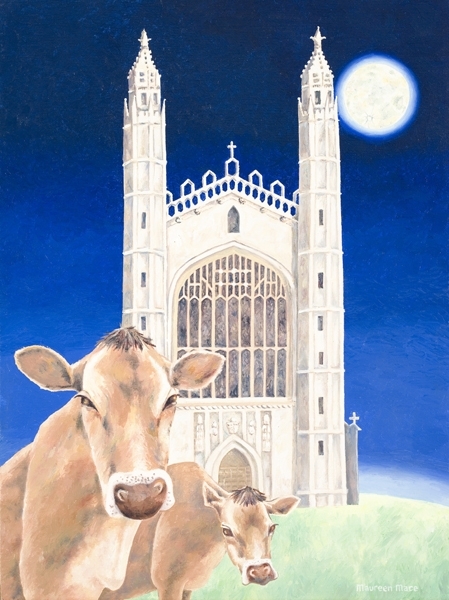 Cows roam on many of the green spaces in the city and are an integral part of living here and are loved by many - the one on Midsummer Common even have their own Twitter account!